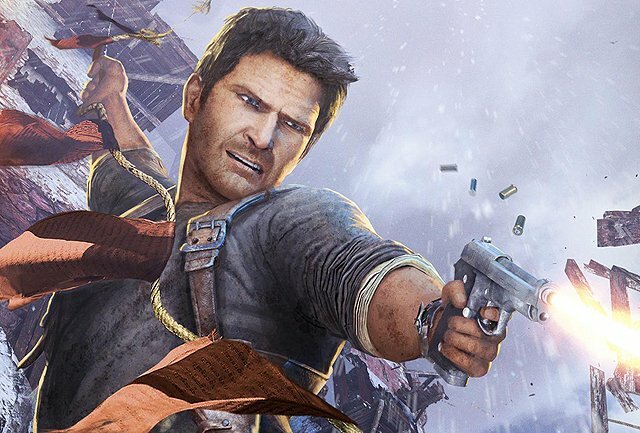 Back in early January, screenwriter Joe Carnahan (The A-Team, The Grey) revealed on Instagram that the Uncharted movie script was ready to go. Today, we got to have an exclusive chat with Carnahan about his recently-announced remake of The Raid (look for that shortly!) and during a conversation about the importance of an R rating for action movies, we dug into Uncharted territory. He revealed that his script was definitely rated R, how he broke the Indiana Jones mold and more. Read on! RELATED: The Uncharted Movie Script is Ready to Go! Joe Carnahan: When I wrote “Uncharted,” I didn’t spare the rod. I wrote it the way the video game is. They swear in the game, they’re kinda foul-mouthed and I kept all that stuff intact and I definitely didn’t write it as a “PG-13” movie, I wrote it the way that movie should be written. ComingSoon.net: “Deadpool” totally worked as an R, “Logan” plays like gangbusters as an R, and I grew up in the era of “RoboCop” and “Die Hard” and “Lethal Weapon” and “Total Recall,” when an action movie was rated R! Carnahan: Listen man, those were the movies we were into, “Predator”… those were all R-rated films. “The Matrix” movies were all R-rated. I never understood the metric for, “This will make X-amount more if it were PG-13.” PG-13 in a lot of ways is a cop out, and I think its been exposed as such. CS: Now “Uncharted” is a project that’s left a lot of dead bodies in its wake. David O. Russell dropped it, and Seth Rogen said there was no way to write it without essentially remaking Indiana Jones. How did you crack it? Carnahan: Listen, I’m a huge Indiana Jones fan, which was one of my interests in it and you have to remember you’ve got Sully as well, so it’s more of a buddy situation than just Drake solo. You have this kind of Hope & Crosby, “Road to Morocco” kind of thing, so it’s not a straight Indy lift. Drake is not a guy who likes museums. He thinks they’re all crooked. Curators are “thieves,” the guys in the Louvre and The Met are thieves and despicable. He’s a treasure hunter, not an archaeologist. He doesn’t have Indiana Jones’ idea of pure faith in archaeology. That’s not the way he thinks. It differentiates, and in the script there are deliberate differentiations. He has a line where he says, “They’re gonna be looking at real booby traps, not rolling boulder bullsh*t.” (laughs) [“Raiders of the Lost Ark”] is still arguably my favorite movie of all-time, but it was necessary to create those distinctions. I think Amy Hennig did it when she wrote the game. She made Drake very much an anti-Indiana Jones, you know? Don’t forget, for that first game after that pirate attack, Drake and Sully leave Elena behind, they dump her. Indiana Jones would never do something like that. That’s a rogue act, so she was declaring very early on who that guy was. He was not Jones, he was not to be confused with that guy. CS: So when Sony and Naughty Dog gave the property to you, did they say, “We want you to hew close to the first game ” or did they just hand you the story bible and say, “Have fun”? Carnahan: No, they let me kinda do my thing. I probably wrote four of the biggest, f***in’ craziest action sequences I think I’ve ever written in that movie. I used the “Uncharted” games as a template but not using any one specifically, because those sequences have already been done beautifully. There’s no point in just transposing them to film, you’ve gotta come up with new sh*t, so that’s what I did. It was a great challenge but it was a lot of fun. Sony Pictures previously hired Shawn Levy (Stranger Things, Night at the Museum films, Real Steel) to direct the video game adaptation. There have been three sequels to Drake’s Fortune, with the latest, Uncharted 4: A Thief’s End, having hit stores in May of 2016. A new stand-alone expansion, Uncharted: The Lost Legacy, was also recently announced. Previous drafts of the script were written by Academy Award-winning writer Mark Boal (The Hurt Locker, Zero Dark Thirty), Oscar nominee David O. Russell, Doctor Strange‘s Thomas Dean Donnelly and Joshua Oppenheimer, Safe House‘s David Guggenheim, and Cormac and Marianne Wibberley of National Treasure fame.